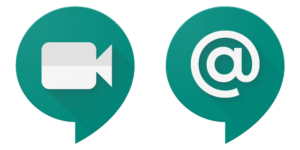 Google Hangouts will not cease to exist after all! It will just be migrated to Google Hangouts Chat and Meet, according to Google. The Hangouts ‘classic’ interface will also change as the apps Chat and Meet will merge. Hangouts Meet is an app best for group conference, while Hangouts Chat is For basic instant messaging. As of now, the new versions of Chat and Meet are only available for GSuite users. The Google Hangouts was launched in 2013, replaced the old app GTalk and was originally a feature of Google+. Google+, by the way, is another app that will soon be laid to rest as well. Another product, Google Allo, was set to replace Hangouts in 2017, but it failed to take off. In a series of tweets, Google’s Scott Johnson assured users that their team is fully committed to the Hangouts Classic for the time being. Classic customers’ data would also be migrated to the new Chat and Meet, though it is still unclear as to when this would commence.